Manufacturers, integrators and builders implement game-changing innovations in home control, energy efﬁciency, connected appliances and more. We know homebuyer demand for technology is growing at a rapid rate, and innovative builders and tech companies are answering this rallying call with solutions that “wow”and work. The 21 winners of the 2017 TecHome Brilliance Awards are certainly pushing the envelope and leading the way with innovative new products, services, homes and communities that appeal to homebuyers. 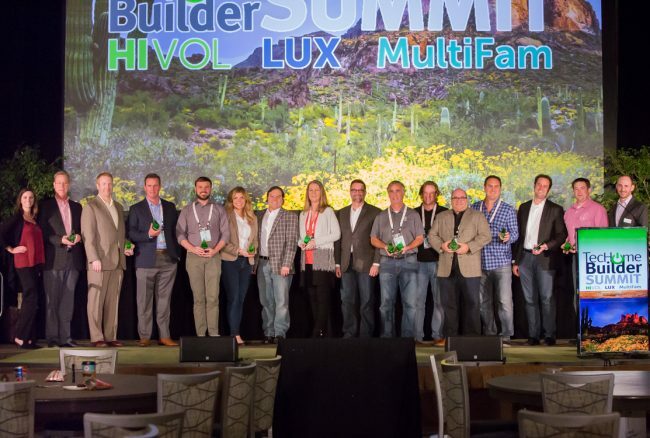 The TecHome Brilliance Awards winners were announced at the TecHome Builder Summit, December 4 at 6:00 p.m.